Black on black. Monochrome & discrete. 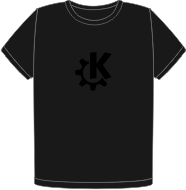 For each t-shirt, we donate 3.00 € to KDE eV.